As hard as it is to believe that I’m saying this, we’re in the last three months of 2016. That means that a lot of people are starting to go into overdrive to try to accomplish the goals they set back in January and get as much done for their blog and business as possible before the end of the year. I’ve been there, and I can totally understand that feeling. 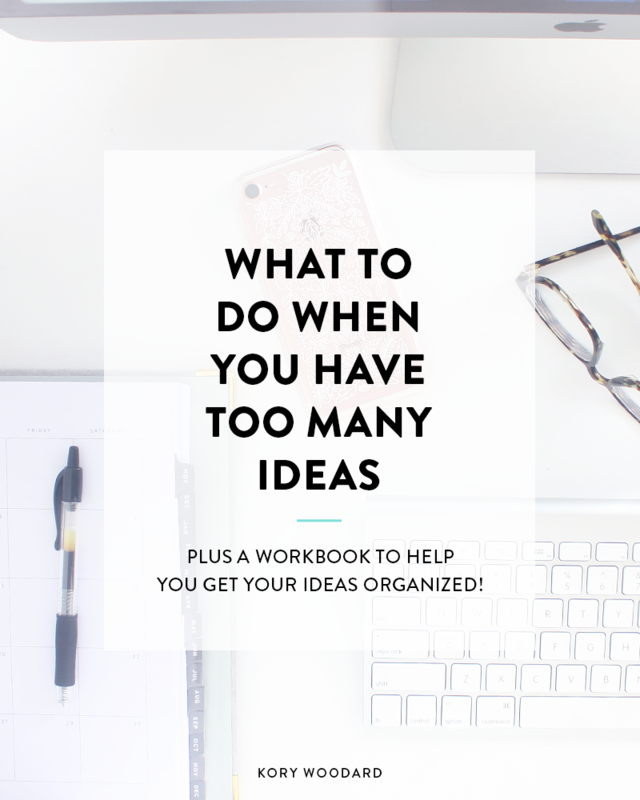 I also know that it can lead to overwhelm, burn out, and just plain confusion when you have so many ideas of what you want to do and what you need to do. In my last post, I talked about how to make sure you’re actually following through with your goals, but one thing I skipped over was how you can get started when you feel like you have too many ideas or things you want to accomplish. So, in today’s post, we’re going to break down three things you can do when you’re feeling overwhelmed with ideas so you can start taking action on all the things you want to accomplish with your blog or business before the end of the year. The best place to start when you feel overwhelmed with everything you’re thinking about is to just jot it all down on paper. When I wake up in the morning and am stressed about all the work I have ahead of me, I usually take a few minutes to make a master to do list of personal (read: around the house) tasks and client work so I can focus on getting everything done. That same thing works when it comes to having a lot of ideas for general things to do for your blog or business. So, you’ll want to get a piece of paper and a pencil. You won’t want to go to your computer or phone, you’ll likely get distracted. Turn off the tv and music, set aside your phone. Set a timer for 15 minutes, and then start writing. While you’re working, you want to brainstorm things that you want to work on for your blog or business. Don’t judge the ideas or think too much about it right now; instead, focus on just getting everything out onto paper. 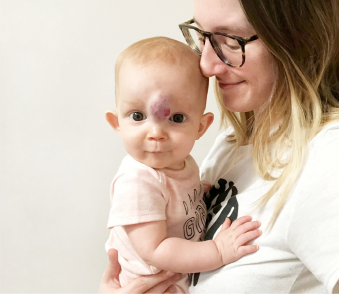 If you need help to get going, I included a few questions in the workbook linked below to help get you thinking about some ideas rolling that should help with your brain dump. Once you have everything down on paper, the first thing to do is go through and start organizing all of your ideas and to-do’s. 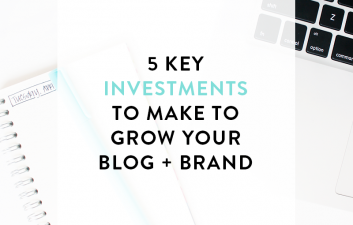 This is a really important step because it turns all of that chaos you may feel that you have going on into a prioritized to-do list of what you want and need to accomplish in what order for your blog or business. What do you need to get done in the next couple of months? I don’t know about y’all but there are always two different task lists that I seem to have: things I want to do, but I know aren’t as big of a priority, and those things that I need to do to help keep my business and blog going. Obviously, that’s where you want to start when you’re prioritizing your tasks. What are your bigger picture goals for the next few years? 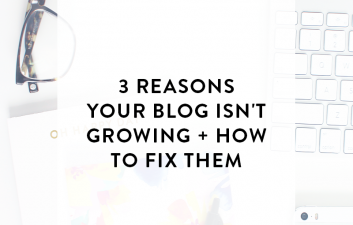 Another thing worth considering is where you see yourself, your blog, or business in 3-5 years. I know it can be hard to think that far ahead, but it’s important to try to have a least a little bit of an idea of your bigger picture goals because you want what you’re working on throughout each year to help you get closer to those things. As you keep these things in mind and focus on things you’re excited to work on and know will help your business, you’ll see that you’re slowly but surely narrowing in what you really need to be focusing on and what can take more of a back burner role. That’s obviously where our last step comes in to play! I talked about this in my last post, but a great way to make sure that you’re really taking action on your goals and ideas is to create some kind of monthly game plan that will help you stay on track. Having this kind of list will also help you stay organized and focused as you’re working on your blog and business over the coming months. Your monthly action plan can and should be a balance of your big ideas (like working toward your product launch if that’s your thing) and the other things you need to do on a monthly basis for your business. So, don’t forget to include things like writing to your email list or publishing a blog post. Then, as you go through the month, if you’re feeling uncertain about what to work on next or feeling overwhelmed, you can always refer back to your action plan! How do you deal with having too many ideas? Do you have a strategy or tip that helps when you’re feeling overwhelmed with all the things you want to do for your blog or business? I’d love to hear from you! Be sure to share in the comments. 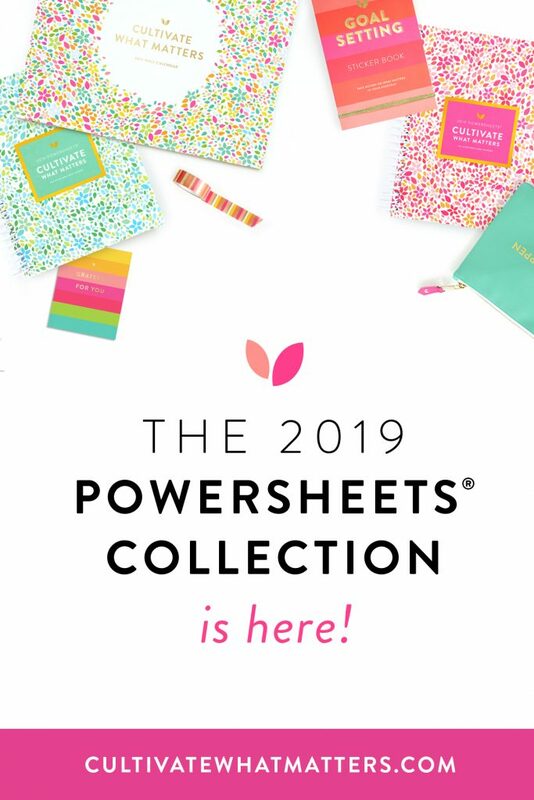 Also, don’t forget to download the workbook by hitting that link below! 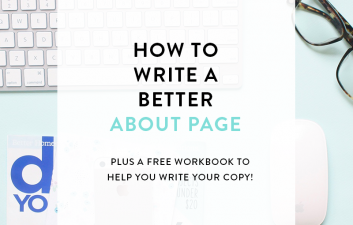 Get more help streamlining all of your ideas with this free workbook! I always feel like I have far too many ideas. This is actually a really helpful way of getting clear on them. Thanks!